Global market is immensely accumulative now a days, with the vigorous effects of globalization which effecting firms of all breeds to expand the business across the borders. This report is generally bases on the answers to the provided case study of Starbucks growth story and its international expansion plans. Starbucks being the producers of one of finest coffee and premium drink beverages manages its major markets within USA and abroad. The report will accumulate Starbucks potential strategic options with substantial vision of the management to expand business internationally while understanding the escalating aspects of ethical and cultural values which Starbucks owns as an influential organization. Some controllable elements in any global markets are the product, the price, the place and the promotion. Starbucks used benefits of their quality in their product directing the promotion. Starbucks used benefits of their product as high end. Their product holds a sweeter taste and may not be liked by international has to research the place where they want to globalize. Starbucks chose many overseas companies like japan, Italy, Spain and Germany. They also considering moving into Mexico and Rico. With each of the place that they wanted to expand to, they had to think about Factors such as their target market and there. With having problems with their brand in 2001, they vowed to move on from the mistakes from the past but say it’s difficult with overseas and local partners. Some elements that are uncontrollable environmental factors such as social factors, legal matters, political standpoints and competitors. Having to expand in other countries, Starbucks had to face local competitors and locals who stay loyal to their local brand, even though Starbucks often came across as mystified and cool, they have Struggled to get a new customer base. 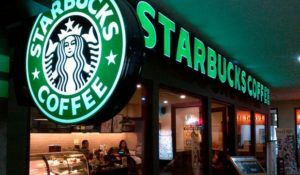 Other factors such policies and regulation were thoroughly studied by Starbucks to maintain their brand and not portray the unsatisfied service. The major Risks that the company face is saturating the market, competition and regaining the capital used after development. Saturating the market is also a huge risk for any company who is trying to grow and expand their business. Starbucks realized that they were saturating the U.S. market so deciding to globalize was the step of the right direction. Competition is always going to be right next door, Starbucks on many occasions had to compete with look likes internationally which is harder to be do because that look like is already they are set up in market. Starbucks into an already existing Starbucks. Competitors are it to be difficult to compete with broaden their brand even with the difficult economy. Starbucks has one products that they have to sell in many ways as coffee. Which they proven they can by improving the service, entering in specially drinks and having others thinks to go with coffee. Although Starbucks has Starbucks with the food aspect in various locations, they now have merchandise as well a selection of food. Starbucks has taken advantage of growth rate of business in china, whereas the U.S is saturated and has a smaller growth rate. Starbucks has a corporate Strategy of improving theme self of their quality, service and most of the important consumers. I think that the price of Starbucks cannot be moved because of the it is assumed that Starbucks is higher quality. To improve in Bangladesh, Starbucks has to be more than brand to boost sales. There are some competitors in Bangladesh. So look likes which to local or international company are here. Starbucks has a need strong, large can coffee market which Starbucks can utilize. Starbucks need to focus on more of their quality and taste to appeal in Bangladesh. Starbucks has a adapt to Bangladesh and might to have to change a few to improve their taste appeal to Bangladesh, they do might do a product invention. Inventing a new product shows that you are willing to appeal to their need and will be appreciative along with your company among customer. If inventing a new product is too much, adapting the product cloud work work batter by changing the ingredients to smooth the taste to be sweeter for Bangladesh. What Bangladesh country believe culture. Consumers relate to companies who do more the people than profiting the most idea marketing well as to consumers. They would to know what the company is doing help locality. So I think if Starbuck should take this strategy and solve in that way must they improve and success. 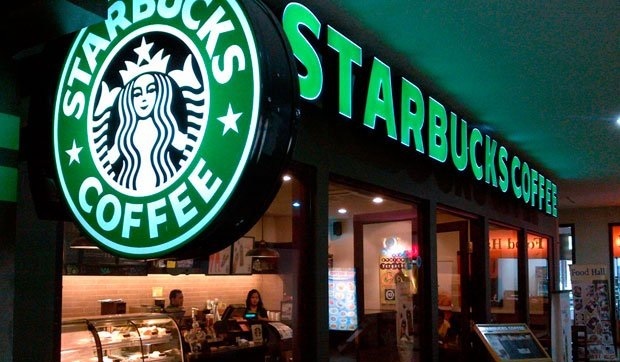 By concluding and answering the case study questions from Starbucks Grow story, it is fathomable fact that Starbucks as a successful organization can be an influential mark to follow for the other firms. Exclusively the standout believe and dedication of the top management to put in their vital trust and support to employees of all levels, culture and race. The flamboyant working environment and social foundations are the benchmark of the company which can be positively imitative by the uprising organizations in order establish the core competence of the company from scratch.